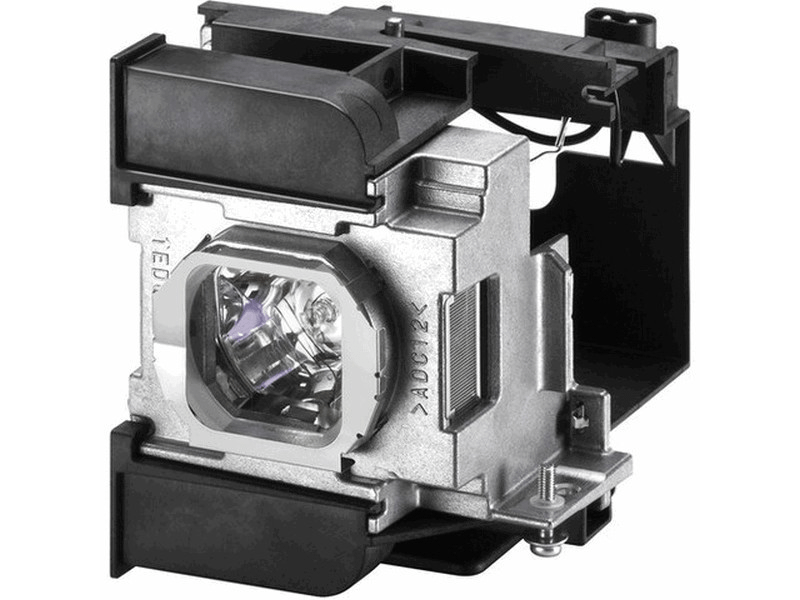 The ET-LAA410 Panasonic projector lamp replacement comes with a genuine original 200 watt Ushio brand bulb inside rated at 2,400 lumens (brightness equal to the original Panasonic lamp replacement). The ET-LAA410 lamp has a rated life of 4,000 hours (5,000 hours in Eco mode). Our ET-LAA410 Panasonic lamp replacement has superior brightness and lamp life than other cheaper generic replacement lamps being sold elsewhere. Purchase with confidence from Pureland Supply with a 5-star Google rating, free ground shipping, and a 180 day warranty. Had great success. Purchased this bulb in January 2016. It was still working great. I purchased a new one because I had 4800 hrs on the first replacement and didn't want the old bulb to go out on super bowl Sunday. The new bulb was in great shape and shipped in about a week and a half. It took about 5 minutes to unscrew the old bulb and pop this one in and screw it back in. Fits perfect. Other places on Amazon sell for much cheaper but the reviews were horrible, so I came back here where I knew I could get a reliable, high quality, no hassle product. Happy customer. Bought this lamp and it was no better than my nearly dead original lamp that had 4000 hours on it. This lamp lacked brightness and the colors were just blah. Very dull. I was very disappointed and returned it. Buy the actual PANASONIC one, not this one. I will say that Purland was a great company to work with. They allowed the return and processed my refund promptly. A good company to work with. Our Panasonic projector is like new again. This lamp is brighter than expected and showed up on our doorstep the very next morning. Super fast shipping and great service. Lamp has the original bulb and is just like the original that we took out of the projector.